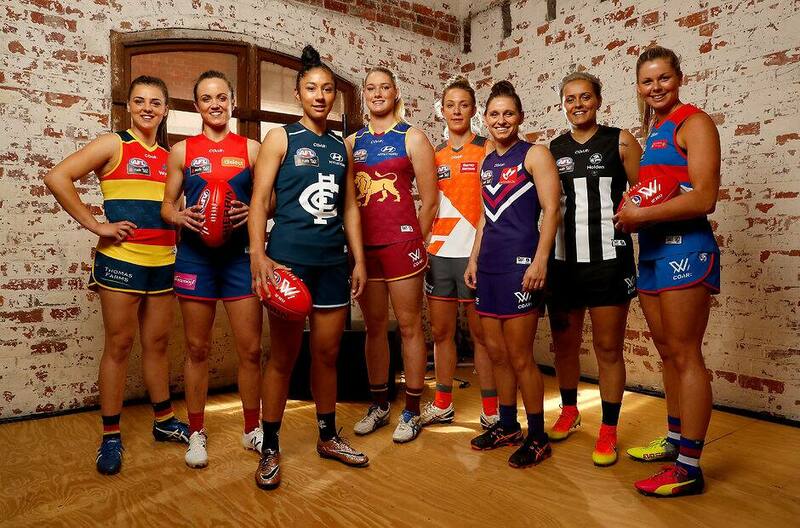 Adelaide will kick off the inaugural AFL Women's competition against Greater Western Sydney on Saturday, February 4. Entry to the match at Thebarton Oval, which starts at 4:35pm (SA time), is free. The game will be broadcast live into South Australia on Channel 7, and nationwide on Fox Footy. All games will also be streamed on AFL.com.au and the official AFL App. Each club has two marquee or ‘star’ players and a list of up to 28 players. The 16 marquee players were distributed evenly across the clubs to ensure competitive balance. The Crows squad has received its playing numbers. See the full list of jumper numbers. The Club’s first pick at the inaugural AFLW Draft was South Australian teenager Ebony Marinoff. The Crows will be coached by Bec Goddard, who has extensive coaching and playing experience and is also a member of the Australian Federal Police. There will be 28 games over seven rounds. The top two teams on the ladder at the end of the minor round will compete in the Grand Final on Saturday, March 25. All 28 minor round AFLW matches will be shown live via pay and free-to-air television. As part of the arrangement, Seven will endeavour to broadcast all Crows matches in South Australia on either its primary channel or 7Mate. More broadcast information. The Crows will play at six different venues: TIO Stadium (Darwin), Thebarton Oval (SA), Whitten Oval (VIC), Fremantle Oval (WA), Norwood Oval (SA) and Olympic Park Oval (VIC). Teams will play four 15-minute quarters plus time on. Clubs will field 22 players, with 16 on the ground at any one time and six on the interchange bench. The AFL believes the 16-a-side format will result in a reduction in stoppages while increasing disposal efficiency and scoring. Games will be played with a size four football, which is marginally smaller than the women’s football previously used. The AFL men play with a size five football. Umpires will throw the ball up for all centre and field bounces. The AFL will provide details of AFLW awards and trophies at the AFLW season launch in January.